Safe, Harmless, Giant Atomic Bombs? The exploration of seven situations that could kick-start the reemergence of a global nuclear threat over two decades since the fall of the USSR. Scotland's growing movement for independence from the United Kingdom is gaining traction amid many anxious European onlookers. Many years ago at an airport in Buenos Aires, Gustavo Soares found himself waiting in passport control; the warm, circulated air was humming with the scattered voices of travelers and native Argentinians. Passport in hand, his mind wandered while admiring the sun peeking through the far-off windows: he thought of his impending tasks, his writing, his surfing. These distant thoughts were interrupted by the approach of an old Argentinian man who, after grabbing his passport, noticed he was Brazilian and asked him a question. He knew how it went: Pelé vs. Maradona–and he wasn’t about to betray his country so readily. At his response the older man sighed, handed Gustavo back his passport, and looked at him as if he was expecting just a little more. Now one of the creative directors at J. Walter Thompson (JWT) marketing in Brazil, Gustavo Soares’ experience in Argentina has proven vital to JWT’s collaboration with the Ayrton Senna Institute, founded shortly after the death of the storied Formula 1 driver with the aim of preparing Brazilian children for success through education. 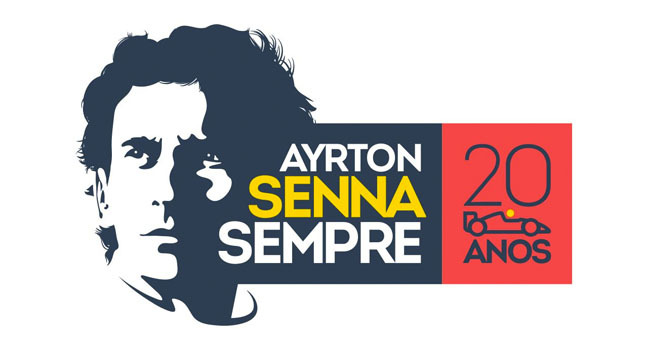 With May 1 marking the 20-year anniversary of the Brazilian idol’s untimely death, this year’s focus is to properly celebrate not only the symbol that is Senna, but also the man that is Ayrton. Mention Ayrton Senna anywhere around the world and you will receive some of the most thrilling tales of staunch determination and talent not seen from any other Formula One driver. You’ll no doubt hear about the remarkable record of pole positions he attained in his career, the intense rivalry between him and former teammate Alain Prost (and the incredible moments of competition and controversy it generated), and his three F1 World Championships–the first of which he won coming back from 16th place. Yet for the legions of fans and those just discovering Senna, it’s important to know about Ayrton, too. The JWT Brazil office is buzzing with start-up-like energy despite its 150-year history. “Our tagline says, ‘There’s never going to be another Senna, but everyone can be a little more Ayrton, every day,” Soares explains to me. “The challenge lies in understanding that many people don’t know what Ayrton Senna really did. He had everything going for him because he was a good person. On one hand, people who never knew of him will learn by what we’re presenting. On the other [hand],” Soares continued, “we have to communicate to all of the Brazilians and to the rest of the world who know Senna the driver that this isn’t even the tip of the iceberg, and that there’s so much more to him. For many around the world, it’s as if Senna never died, and the 2.4 million fans on his Facebook page express the importance he holds in their lives. Just recently, during Brazil’s Carnaval celebrations, the winning samba school–Unidos da Tijuca–performed an awe-inspiring tribute to the legendary driver, demonstrating the place he still occupies within the hearts and minds of Brazilians. Most importantly, his namesake in the Ayrton Senna Institute (ASI) continues to educate and improve the lives of millions of children. “Ayrton had so many values and continues to be so important to so many people worldwide, and we try every year to celebrate those values and make sure they remember him by using his values as part of their own lives,” explains Bianca Senna, Ayrton Senna’s niece and spokesperson for the Institute. Still more impressive is how Ayrton Senna continues not only to inspire racing aficionados, but also the millions of children who have been and continue to be educated through the ASI. “We decided to help Brazil through education, because it is key,” recounted Bianca. “The way we do that is through public schools, training everyone from the teachers to the directors to government officials to make each step better and more efficient. Rampant inequality and corruption led the country to the desperate state it was in when millions saw Senna race every Sunday. He understood the people’s plight and recognized the underlying issues affecting them, and sought to lift his country up both spiritually and mentally through his performance. Because of that, the ASI was founded to attain the type of change that comes not from government, but from deep within the people. “That’s what he preached about. ‘What brought me here were my beliefs, my hard work, and how I take everything very seriously.’ Those are the examples you see when you go to a school that has adopted the ASI material,” marveled Soares. “This all sprouted from one guy’s fixation about how he couldn’t be the guy who simply raises the flag at the end of a race and makes $17M every month. For many, Ayrton Senna represented the best a person could be. Aware of that, those in his homeland are determined to live up to what he imagined they were capable of becoming and achieving. With the ASI’s renewed focus on spreading his story, projects such as the Ayrton Senna Experience–due to be unveiled May 1 on Senna’s official website–will be instrumental. The Experience will take the form of a Senna-centric social network where fans will be able to explore his major life events on a Google Map-like interface, as well as communicate and post their own stories and photos. This technological push, including a two-minute commercial to kick off the campaign, truly represents the Brazilian people’s desire to honor his legacy in a profound way. “The commercial is our way to give him another victory. It’s a way to be inspired by this formidable, giant Brazilian who will continue to be remembered,” Soares tells me. “This year marks 20 years of his legacy. Are we celebrating the fact that he died? No! We’re celebrating what he left us and what he continues to give!